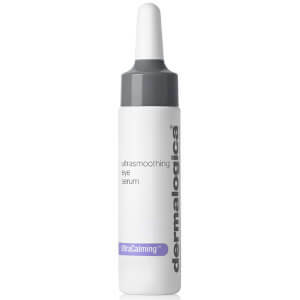 Achieve a flawless complexion with the HydraBlur™ Primer from Dermalogica. Fortified with Mushroom Extract, Whu-Zhu-Yu Fruit and Abyssinian Oil, the lightweight formula works to smoothen the appearance of fine lines, wrinkles and pores, whilst enhancing luminosity and combating uneven skin tone. Blending effortlessly onto skin for a streak-free finish, the long-wearing primer can be worn alone or used to create the perfect base for make-up application. Its moisturising H2ORelease™ Complex prevents dryness and delivers a hint of natural-looking colour, leaving you with a refined, mattified complexion. Free from artificial fragrances, colours and parabens. Smooth and blend over entire face and throat. Apply with a damp sponge or foundation brush for an added blurring effect. Caprylyl Methicone, Cyclopentasiloxane, Isododecane, Glycerin, Water/Aqua/Eau, Lauryl PEG-10 Tris (Trimethylsiloxy) Silylethyl Dimethicone, Dimethicone/Vinyl Dimethicone Crosspolymer, Vinyl Dimethicone/Methicone Silsesquioxane Crosspolymer, Crambe Abyssinica Seed Oil, PEG-12 Dimethicone/PPG-20 Crosspolymer, Dimethicone/Bis-Isobutyl PPG-20 Crosspolymer, Dimethicone, Silica, Boron Nitride, C30-45, Alkyl Cetearyl Dimethicone Crosspolymer, Fomes Fometarius Extract, Sodium Hyaluronate, Evodia Rutaecarpa, Fruit Extract, Hydrolyzed Verbascum Thapsus Flower, Serine, Retinol, Potassium Phosphate, Citrus Aurantium Bergamia Fruit Oil, Coriandrum Sativum Fruit Oil, Cupressus Sempervirens Leaf/Nut/Stem Oil, Juniperus Communis Fruit Oil, Lavandula Angustifolia (Lavender) Oil, Dodecene, Caprylyl Glycol, Pullulan Rosmarinus Officinalis (Rosemary) Leaf Extract, Algin, Propanediol, Trehalose, Disteardimonium Hectorite, Helianthus Annuus (Sunflower) Seed Oil, Polymethylsilsesquioxane, Disodium Phosphate, Sodium PCA, Urea, Isohexadecane, Mica, Silica Silylate, Cetearyl Methicone, Steareth-2, Silica Dimethyl Silylate, PEG-10, Polyester-1, Pentylene Glycol, Steareth-21, Glyceryl Polyacrylate, Butylene Glycol, Ethylhexylglycerin, Phenoxyethanol, Limonene, Linalool, Titanium Dioxide (CI 77891), Iron Oxides (CI 77492), (CI 77491), (CI 77499). I'm very excited to do my first order. I received the sample of this Primer and it's absolutely amazing!!!! I have tried many brands (all prices) and this so far is fabulous. 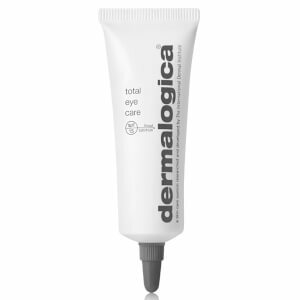 I'm not a fan of Dermalogica, but this product definitely rocks.